Start maximizing your employee benefits package and saving money. Now is the time to act on a plan that allows an employer to offer benefits normally not affordable to small business. Start maximizing your employee benefits package and saving money. 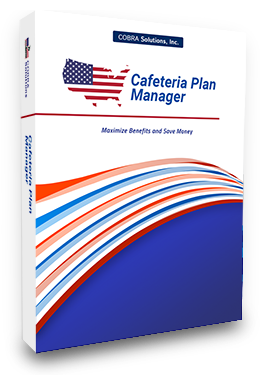 Now is the time to act on a plan that allows an employer to offer benefits normally not affordable to small business…COBRA Solutions Cafeteria Plan Manager will provide a tremendous benefit to both your employees and your business. According to the IRS, a Cafeteria Plan is "a separate written plan maintained by an employer for employees that meets the specific requirements of and regulations of section 125 of the Internal Revenue Code. It provides participants an opportunity to receive certain benefits on a pretax basis." The best part about the Cafeteria Plan is that most of your employees are already paying for these expenses out of their own pockets with after-tax dollars. Cafeteria Plan Manager offers employees a remarkable way to save money they're already spending. The benefit for business owners is that our Cafeteria Plan Manager costs very little to set up and maintain. For most employers, the cost of implementing the plan is recovered through tax savings during the first year--you might even begin saving money as early as the month following the installation. See how much you can save by implementing a cafeteria plan. Our simple calculator can estimate your savings in seconds. See how much you'll save by clicking the button below. 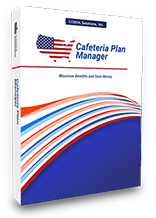 The full version contains everything you need to administer a Cafeteria Plan for your company. If you are a first time buyer of the software, click the button below. Need to update an older version of the software? Need to renew your Maintenance Service Agreement? The Cafeteria Plan Manager is a Windows® based program allowing the user to perform tasks with the click of a mouse. No one wants to spend hours learning a new software program - so the program walks you through every step. A Things-To-Do List assists you in setting up your Cafeteria Plan by requesting needed data. It has been said that a picture is worth a thousand words - so graphics have been added to assist with data entry. A Cafeteria Plan has certain document requirements which are included as part of the Cafeteria Plan Manager. A detailed Plan Document (which is the governing body of your plan) has been included for each Cafeteria Plan component. Summary Plan Descriptions (SPDs) which explain the plan to the employees is produced with a personalized touch. And, what’s a benefit program without a new enrollment form? The Cafeteria Plan Manager will even produce an easy to understand enrollment form. After plan implementation and enrollment, the Cafeteria Plan Manager will keep employees up-to-date on their current account balances with monthly Account Statements. These statements will illustrate medical and dependent care receipts submitted for reimbursement, amount of the reimbursement check and remaining account balances. Even when an employee terminates employment, a Cafeteria Plan termination letter is produced explaining options and important time frames. Ruling 2005-42 is an optional extension employers may offer employees to help reduce the amount of funds left over due to the “use-it-or-lose-it” rule associated with FSAs. If offered, the IRS Ruling would provide a 2 ½ month extension in which employees may submit receipts. (Do not confuse this extension with the time frame associated with submitting claims after a Plan Year ends). This 2 ½ month extension allows employees to submit claims with a date of service (or incurred) during the 2 ½ months following the end of a Plan Year. If you elect to only offer a Premium Reduction Plan, there is virtually no administration. After enrollment is entered for the year, the Plan Administrator just needs to input terminations and changes in life status. Administration under the Medical and Dependent Care Reimbursement plans are more involved but still easy to manage. As employees submit receipts, you merely input the necessary information in the form. Next, you would need to reimburse the employees for eligible claims. The system will walk you through a three step process of 1) producing Account Statements; 2) prepare reports for payroll (detailing the amount of each member’s reimbursement check) and 3) posting the amount to the employee’s account. If you would like, the program will also produce the checks ready for distribution. At some point in administration, an employee (or dependent) may experience a "Change in Life Status" and need to modify his/her annual reduction amount. This can be a difficult calculation to determine - but not with the Cafeteria Plan Manager! The system will walk you through the change and automatically calculate the new reduction amount. When Section 125 was designed, the government wanted to ensure that Cafeteria Plans were equitably offered to all employees and not just "highly compensated employees." Tests were design to determine if a Cafeteria Plan favors "highly compensated employees." Discrimination Testing can be a time-consuming difficult task - but not for the Cafeteria Plan Manager! By answering a few, easy-to-understand questions, the program will perform the tests and provide documentation that your Cafeteria Plan passed with flying colors. The Cafeteria Plan Manager offers over thirty reports detailing the accounting elements of a Cafeteria Plan. 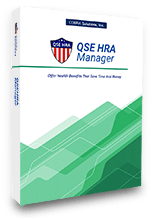 Enrollment, reduction amounts, reimbursements and reports personalized by employee are just some of the reports designed to provide you with the management tools needed to monitor your plan. COBRA Solutions Technical Support prides itself on seeing that each caller’s issue is resolved in the first phone call. If need be, data may be reviewed to determine the problem. 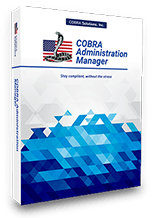 In addition to phone support, users may email questions to COBRA Solutions and shall receive a response within 48 hours. Still not convinced you should offer a Cafeteria Plan? It is a win-win situation for both the employee and employer. There are no negative aspects of the plan! Please download a demonstration version now and see how easy it is to start and administer your plan. The Cafeteria Plan Manager was designed to assist you in taking eligible tax advantages for both you and your employees. You will find it easy-to-operate, powerful and it will probably pay for itself in the first month of operation. If you don’t offer a Cafeteria Plan, why not consider it now? The tax advantages to both your organization and employees are compelling. And the Cafeteria Plan Manager can make the administration efficient and simple.